Last night I was in the mood for curry. 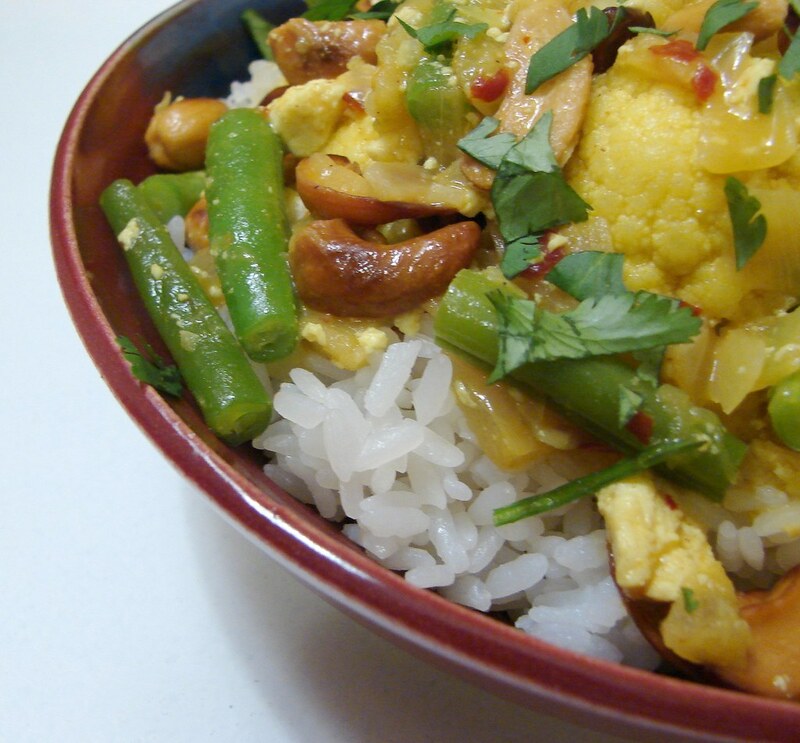 I had del.icio.us'ed 101 Cookbook's Cashew Curry a while back, so I decided now was the time to try it out. After a couple weeks of going out and eating all manner of not-so-healthy foods, it felt good to get all these vegetables in my tummy. 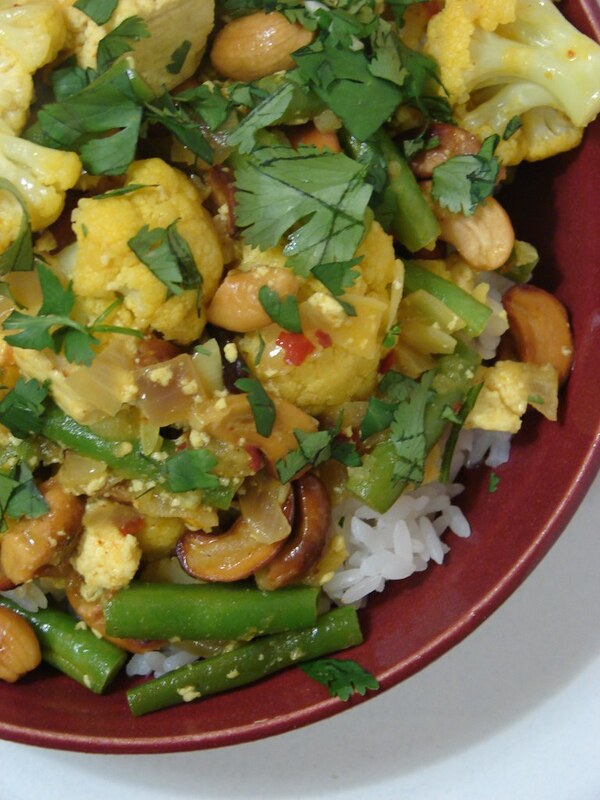 Not necessarily a low-fat dish or anything, this curry gets lots of flavor from whole coconut and toasted cashews. It's totally nutritious, though, especially since you don't cook the vegetables that long at all. This also makes for a quick weeknight dinner! The only way I differed from Heidi's recipe was that I used more of everything...a whole head of cauliflower, a whole can of coconut milk, a whole block of tofu, etc. I can't use just part of an item, because the rest of it will end up sitting in the fridge for weeks then getting thrown away. I can, however, tear up some leftovers. YUM!!!! I want some!! I LOVE curry! !